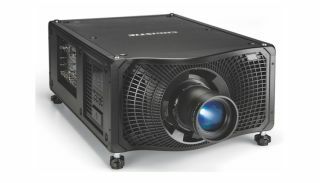 The What: Christie has expanded its Boxer line with the new 3DLP Christie Boxer 4K20, complete with full native 4K resolution, a wide selection of 4K connectivity, and the same small, rugged, design as the rest of the Boxer product line. The What Else: The High Bandwidth Multi-Input Card (HBMIC) in the Boxer 4K20 provides a variety of connections for high-bandwidth 4K signals and allows for 4K 60Hz over a single cable using 12G-SDI, HDMI, or DisplayPort. The HBMIC also adds direct fiber input capability for use with a Christie Link transmitter that sells separately or as part of a bundle. All inputs offer preview capability and fast synchronizing or switching between inputs.